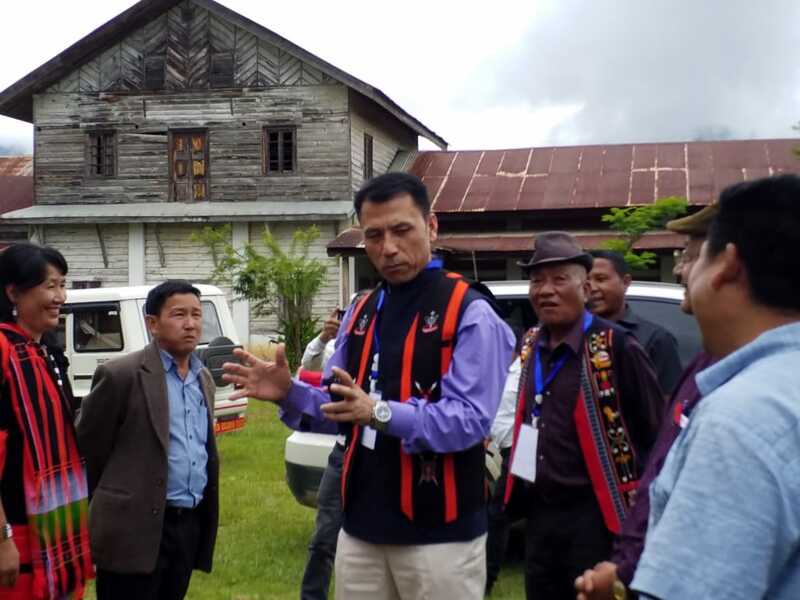 Manipur Education Minister Thokchom Radheshyam on Monday inspected the Talui/Tolloi Higher Secondary School and Somdal NK Higher Secondary School Somdal of Ukhrul District. He also interacted with the faculty and students of the schools, according to official sources. Highlighting the infrastructural requirement of the schools, Minister Radheshyam expressed his pleasure to witness the commitment of people of the village dedicating themselves for the welfare of the education sector. On the shortage of teachers for certain subjects, he said that the recruitment process for teachers on contract basis is underway. He ascertained that once the recruitment process is completed the issue of teachers’ shortage will be lessened to a certain extent. Stating that the school is a place where children are nurtured for their better future and the society as a whole, he appealed to the people of the village to regard the school as a holy place and extend their full support in safeguarding the school properties from illegal encroachment. Minister Radheshyam also attended the 79th Talui Katamnao Long General Conference held under the theme ‘Unleash the Potential’ at Talui Village during the visit. Addressing the conference he urged the teachers to consider the students as their own children and asked not to pressurize the children and deter their determination with negative remarks. He said love, affection and encouragement are the most important things to be shown to children to give confidence of their ability to become the best. He said what is important for children is to gain relevant knowledge rather than making them becomes a data base. He said the children should be provided with the best pursuit in life which will lead them to a more successful and meaningful life. He called on the gathering to mentor the children. The event was attended by the Autonomous District Council members, dignitaries, village chiefs, students and locals.